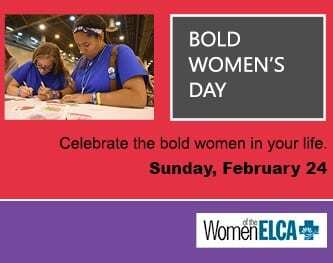 Women of the ELCA (WELCA) includes Lutheran women who gather for service, study, advocacy, and fellowship. WELCA embraces all kinds of ministries that support our mission of mobilizing women to act boldly on their faith in Jesus Christ. There are approximately 75 active WELCA church units within the South-Central Synod of Wisconsin. These church women’s groups are overseen by a Synodical Women’s Organization, an elected board of 10-12 women. The Trumpeter, newsletter of the Women of the South Central Synod of WI, is published 4 times per year January, April, July and October. The Trumpeter is available FREE of charge by email. Please send your request to welcatrumpeter@gmail.com. Paper subscriptions can be ordered on the form on last page of the Trumpeter for $8.00 per year. One free copy of the Trumpeter is sent to every church in the South Central Synod either by email or U.S. Post Office and should be available through your church office. It may be forwarded and/or reproduced as needed. When reproducing please include the Trumpeter’s name and issue date. If your church did not receive a Trumpeter, please contact the Trumpeter at welcatrumpeter@gmail.com to confirm the church’s email and/or street address. The women’s synodical board is composed of 10-12 dedicated women. There is a liaison from this board to each of the conferences. It is my pleasure to serve as the President of the South Central Wisconsin Women’s Synodical Women’s Organization from 2015 to 2019. I am a long time member of Good Shepherd Lutheran Church in Madison. I have been an active member of a Circle for many years and served in women’s leadership roles at Good Shepherd and the women’s Westlake Conference. For information about the Women of the ELCA, please contact Helen Sheahan at Sheahan1@sbcglobal.net or 608-692-7553. Conference…………………	designation for a geographical area. The South-Central Wisconsin Synodical Women’s Organization has 9 conferences. 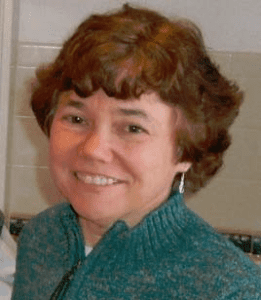 Region………………………….a geographical area comprised of a number of synods or Synodical Women’s Organizations. 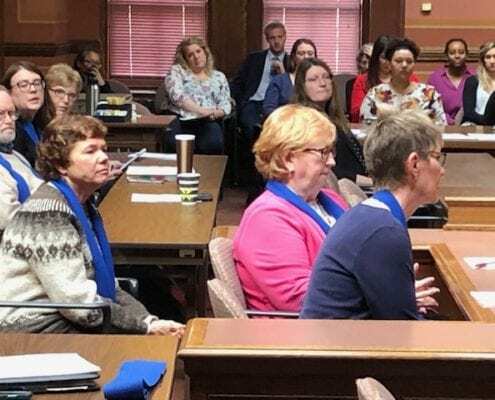 The South-Central Wisconsin Synodical Women’s Organization is part of Region 5.